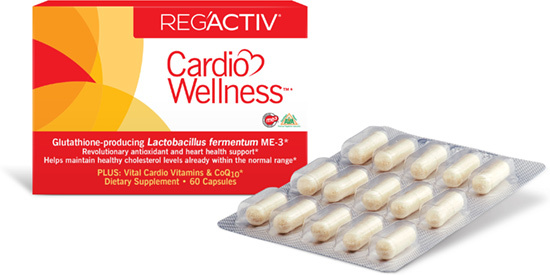 20 Years of Published Research Support Reg´Activ Products In 1995, award-winning microbiologist Marika Mikelsaar, MD, PhD and her team of research scientists at the University of Tartu, Estonia isolated a unique probiotic strain. That strain, Lactobacillus fermentum ME-3, is able to produce the super antioxidant glutathione. Dr. Mikelsaar’s findings were the fruit of a collaboration between the University of Tartu and the University of Linkoping in Sweden. The two research groups looked at the connections between immune health and gut microbiome profiles in Swedish and Estonian children. They selected these groups for comparison because Estonian kids are known to have especially tolerant immune systems. Could there be a probiotic reason for that? There was indeed! The researchers successfully found a unique microbial fingerprint in children with the most balanced immune systems. One of the strains isolated from a healthy Estonian child was Lactobacillus fermentum ME-3. Since that initial discovery, Dr. Mikelsaar has dedicated herself to researching the specific effects of this incredible probiotic. Meanwhile, Mihkel Zilmer, MD, PhD, head of the Department of Biochemistry at the University of Tartu, conducted extensive research on ME-3. Dr. Zilmer determined that ME-3 exhibits antioxidant properties—through producing glutathione. Ongoing research has explored how ME-3’s glutathione-production supports the immune system, the cardiovascular system, the liver, and other core body systems. * Research on this unique Lactobacillus strain continues today.